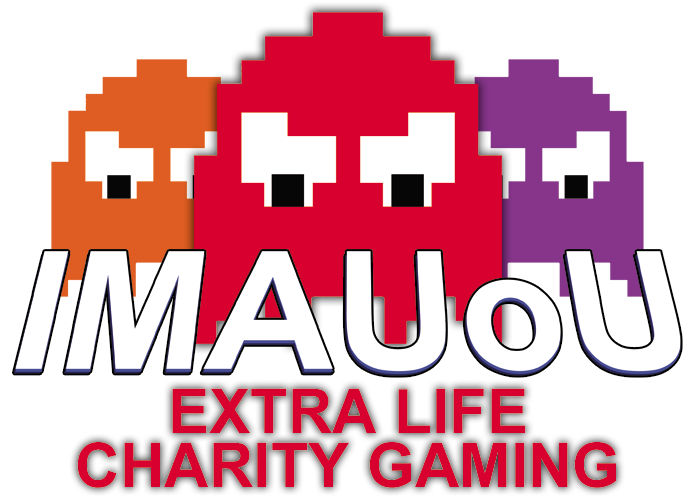 This Saturday 20th marks the first attempt of a 24 hour charity gaming marathon in aid of Extra Life charity, which all proceeds go towards our local children’s hospitals. I’m hosting this event in the Coleraine University opening it up to #IMAUoU students in location and to also anyone willing to spend their day gaming for an excellent cause. The event will see students from the Interactive Media Arts course to attend and play games for the full 24 hours, in hopes I will manage a live stream of the event and it’s competitions held within the room. I have a few planned which will include a variety of games from Monopoly cards, Xbox live: Trials HD & Evolution, Gamecube: Super smash bros and plenty more to keep participants occupied while getting sponsorships from outside. If you would like to get involved and donate some extra pennies to our chosen charity, Children’s Miracle Network Hospitals please visit our Extra Life group page and donate what you can, we will do our best to defeat the in game bosses to aid those in hospital to defeat their invisible bosses!